The media is abuzz this week with Starbucks’ commitment to erase bias and foster inclusion within its ranks. This profoundly important step serves as a potent reminder that the majority of workplaces – even those that have begun to seriously address diversity – have not cracked the code on true inclusion. Sophisticated algorithms replace (flawed) human judgment to diversify hiring, and a wave of research on unconscious bias has created sufficient awareness to create pause before decision makers rush to judgment. Most companies would agree, however, that they have yet to find a good and scalable approach to create a culture of inclusion. We designed Books@Work to help address this critical challenge. We define inclusion in the broadest sense: we encourage not only divergent gender, race and cultural perspectives, but also the unique belief-sets driven by our upbringing or the fact that we now are engineers, accountants, marketers or IT professionals. 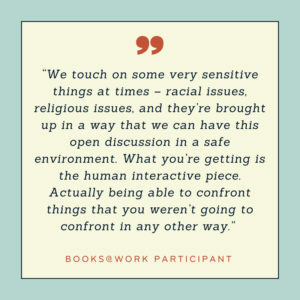 For Books@Work, inclusion is about creating and nurturing a culture that fosters mutual respect and invites the whole person to the table. Using carefully selected narrative literature as a platform, our participants reflect individually and collectively on the different perspectives each brings to the literature and the discussion. Our participants tell us over and over that the “clear-cut” answers they had in mind when they entered the room proved simplistic when listening to others and stepping into their shoes. Over time, participants develop deeper, more sustainable relationships with each other – the very “high-quality connections” that researchers call the “dynamic living tissue” of organizational life. Grounded in science, Books@Work is an inquiry-based approach to engaging individuals at work. We find that workplace learning is as much about experience, intuition and inspiration as it is about technical and job-specific skills. 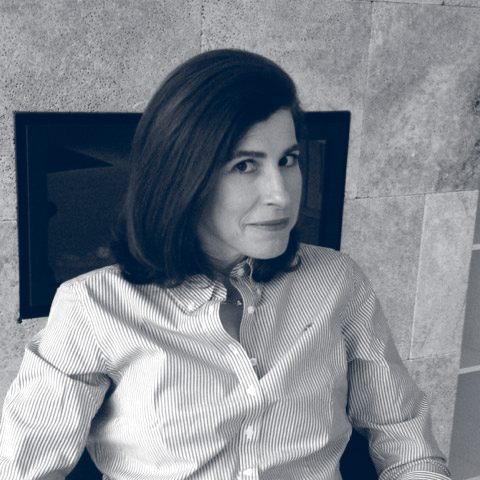 Joint exploration of a text and its related issues is one of the most powerful mechanisms for the development of high-quality connections as it fosters an unparalleled combination of cognitive development, emotional connection and social interaction, three pillars that leading scholars attribute to effective adult learning. The interplay between the literary narrative and the various personal narratives gives rise to a collective narrative – and a common language that invites trust, respect, openness and inclusion. Books@Work encourages people to voice their opinions and truly listen to –and understand – the perspectives of others. 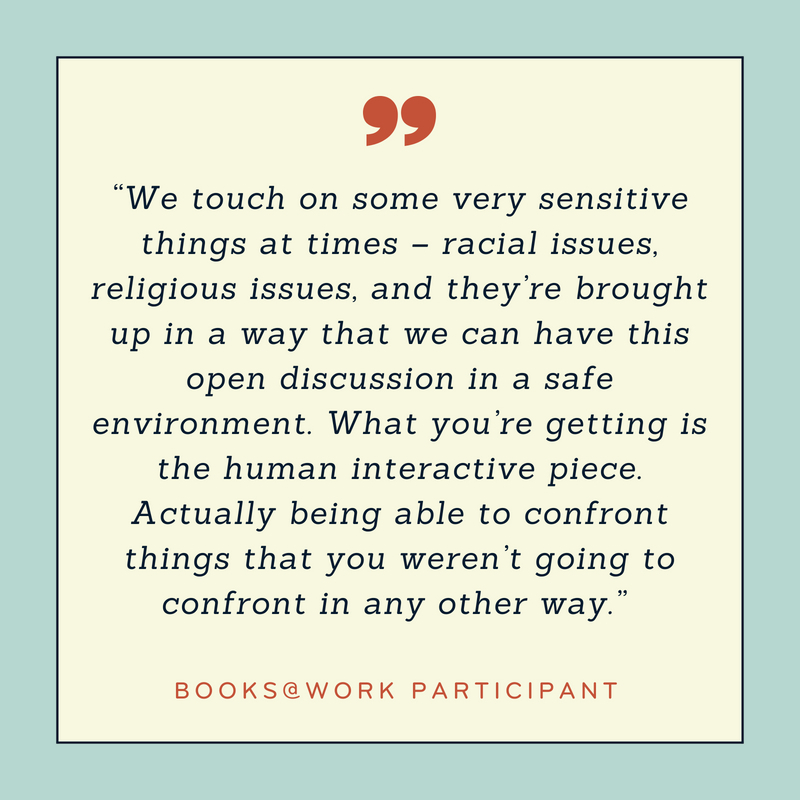 The text provides the safe space to explore a wide range of sensitive topics. We have deployed Books@Work in individual teams, and across hierarchies and functions. In some cases, we have deployed the program to a majority of an entire organization, at every level. Leaders and participants report incredible mindset shifts. In one program, a young African American engineer was surprised to discover that his colleagues shared his perspectives far more closely than he had assumed. He reported feeling “affirmed” by the viewpoints others shared, and by his own stronger sense of belonging. In another program, two female participants, realizing that their perspectives differed vastly from those of their male colleagues, found the courage to instigate much-needed discussions about equality on the shop floor. From every angle, they encouraged their colleagues to revisit and question their paradigms. In a third program, a white manager called his African-American supervisor to share that the stories they had read together had opened his eyes to the fact that his upbringing has left him with deeply rooted racial biases. The first step to changing this was to begin to openly share his wonder at just how much he did not know. A culture of inclusion must be a safe place for people to examine and question their deeply-held beliefs. Research shows us that interpersonal contact reduces bias – diverse groups working side by side begin to see themselves first as equals. To develop high quality connections, Books@Work starts with a foundation of interpersonal contact – contact across hierarchies and functions but also contact with the diverse characters in narrative literature. The opportunity to use a story to explore personal experience creates the platform to question our biases and shape our willingness to learn more about others. Books@Work is not a management training program or a “one-and-done” intervention. Connection and belonging take time, and must include everyone. We deliver Books@Work seminars from the C-suite to the front-line, whether machinists, nursing assistants, truck drivers or janitors. Our most successful programs serve senior management and the front line – often together – to create the human connections required to fuel authentic cultures of inclusion.